A bevy of recommended new (more or less) books on Fidel, Che, and our intriguing island neighbor. You know a good chunk of time has passed when what was once viewed as aberrant achieves trend status and becomes simply idiosyncratic. For much of my life I have been fascinated by Cuba: the music, the politics, the food, the literaturepretty much everything. By the late 20th century, my interest was viewed as hip and even respectable, especially as mojitos and Cohibas gained some recognition during the Great Cigar Boom that coincided with the Great Wall Street Pig-Out of the ‘90s. In 1990, Cuban-American Oscar Hijuelos won a Pulitzer for The Mambo Kings Play Songs of Love, which was later made into a movie, and the film of Buena Vista Social Club and Julian Schnabel’s Before Night Falls showed up in mainstream culture at the end of the decade. American attention to Cuba waxes and wanes, but the panache of all things cubano remains; the Caribbean island nation is still a source of wonder for progressives, thrill seekers, and would-be bohemians. This year being the 50th anniversary of the Revolution’s triumph and the inevitable instability of an aging leadership, President Obama has declared his intention to regularize relations with Cuba (and perhaps the prominence of the Cuban team in the World Baseball Classic played a part). 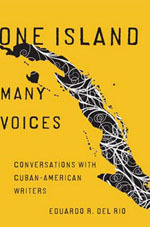 Recently (more or less), there has been a spate of books connected to Cuba that showcase the compelling stories and speculations that continue to orbit around that magical place. Rachel Kushner’s debut novel Telex From Cuba (Scribner), which garnered her a National Book Award, is set in an American community in a Cuba that is on the verge. It is 1958, the Castro Brothers are successfully fomenting change, and this story’s two young protagonists, residing on United Fruit’s fiefdom in Oriente province (where the action is), are aware of the cruel underpinnings of America’s island idyll. Anthropologist and MacArthur fellow Ruth Behar’s An Island Called Home: Returning to Jewish Cuba (Rutgers University Press) is a narrow slice of Cuban life, but no less fascinatingas is the preview of her documentary, below. Jews in Cuba, who knew? It is particularly significant because the U.S.-Cuban relationship is going to have to be fundamentally rethought and reshaped in the near future, and this work not only provides critical information, but also acts as a loud warning about how that debate must not be conducted. This is exactly the kind of book policymakers and the chattering classes ought to be readingsomething beyond the ignorant regurgitations of past thinking. 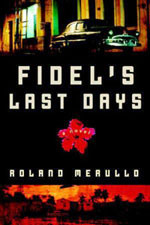 Boston writer Roland Merullo, in Fidel’s Last Days (Shaye Areheart Books) takes on the amorphous period that marks the decline of Fidel and his cadre. There is a lot of spycraft and bureaucratic chicanery being employed by various government and non-government operatives, whose real allegiances (as the reader is no doubt supposed to question) may or may not provide dramatic tension. Former C.I.A. agent Carolina Perez is an interesting characterhaving given up a promising career to join the super-secret (and wealthy exile-sponsored) White Orchid in its mission to rid Cuba of Fidel. Across the straits, Carlos Gutierrez, minister of health and a member of Castro’s inner circle, is recruited to aid in Castro’s curtain call. Contained within family genealogy are often found profound insights into the history of an entire people. The Bacardis represent one such family. Gjelten has fashioned a splendid prism through which to cast new light on the human dimensions of the Cuban past. The epochal transitions of Cuban national formation are experienced through successive generations of Bacardis, revealing the complex ways that a people are overtaken by the forces of their own creation. 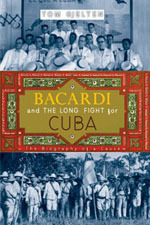 Anyone with an interest in Cuban history – and a fondness for Cuban rum – will find the Bacardi family history irresistible. 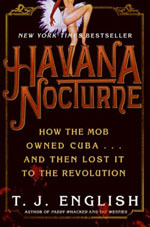 and Then Lost It to the Revolution (William Morrow) is a sobering and compelling (considering the American love affair with its gangsters) account of the way American organized crime attached itself to Cuban societydocumenting the machinations of Meyer Lansky and his cronies to gain control of Cuba’s sin industries. Continuing in the same vein as the Seidman/Buhle essay, Michael Casey’s Che’s Afterlife: The Legacy of an Image (Vintage) investigates what is the purportedly most reproduced image in the world, the various iterations of Alberto Korda’s immortal image of Chea picture that has adorned all manner of things from hotels, T-shirts, and posters to Swatch watches and now a web site dedicated to tracking the image’s worldwide appearances and other mutations. 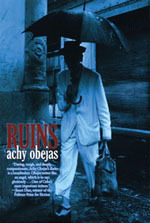 Chicagoan and DePaul University mentor Achy Obejas (Days of Awe), whom Junot Díaz, with a small slight of hand, calls one of the Cuba’s most important writers, has a new novel, Ruins (Akashic Books), which deals with a concern that no doubt has confronted and continues to confront many Cubansloyalty to the Revolution, its ideology and precepts, and the ongoing Cuban reality. The book’s main character, Usnavy, remains a good 26th July adherent from 1959 even beyond his best friend’s departure during the 1994 Mareil Boatlift. The discovery of the potential value of an oversized stained-glass lamp he inherited from his mother puts his dismal but well-ordered life into disarray. By now, the presence of pre-’60s American cars is very much a part of the picture of present-day Cuba. Not quite preserved in amber (no American auto parts have made it to the island for half a century), about 60,000 cars are kept rolling with bailing wire, chewing gum, ingenuity, and the waving of chicken claws. 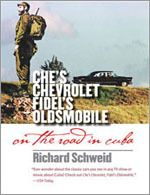 Barcelona based journalist Richard Schweid traveled the island creating an auto-centric account of Cuban life in Che’s Chevrolet, Fidel’s Oldsmobile: On the Road in Cuba (The University of North Carolina Press). Not quite as interesting as Carlo Gebler’s Driving Through Cuba: Rare Encounters in the Land of Sugar Cane and Revolution (the Irish writer’s hunt for a 1959 Coup deVille Brougham), but packed with anecdotes and everyday life moments. By the way, the title refers to the claim that Fidel rode to the embattled Bay of Pigs in an Oldsmobile. What strikes me most is how unique each of them is. At first this seems like a trivial, inconsequential observation. However, when I consider my mission was to collect a group of ‘similar’ writers, all of whom left Cuba as children or young adults, their divergence forces me to examine the issue more closely. Happily, del Rio’s mission is ambient to the good stories and vivid voices encapsulated in this collection. Finally, in addition to Jon Lee Anderson’s Che Guevara: A Revolutionary Life, here are five essential books about Cuba. 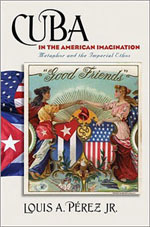 Cuba: Or the Pursuit of Freedom (Da Capo Press) by master historian Hugh Thomas is the original comprehensive survey of Cuban history from pre-Columbian innocence to Spanish conquest to American annexation to the revolutionary present. Guillermo Cabrera Infante was the quintessential Cuban man of letters and his Mea Cuba (Farrar, Straus, and Giroux), a collection of prose miscellany, showcases his wry wit, penchant for puns, and encyclopedic overview of Cuban literary culture. Many writers have attempted to write the Cuban-American exile story; with Los Gusanos (HarperCollins), gringo John Sayles lays out a compelling tale as illuminating as any documentary on Cuban-American relations during Fidel’s tenure. well, you can guess the rest. Echevarria also does well to restore dignity to Caribbean and Cuban beisbol that suffers at the hands of other nasty yanqui habits and attitudes. Texan musician Ned Sublette, founder of Qbadisc records, taps his unparalleled knowledge of Cuban culture and music to provide the informed and impassioned history Cuba and Its Music: From the First Drums to the Mambo (Chicago Review Press). P.S. : A second volume is forthcoming.